Blurb Description: Heiress Kamila Mughal is humiliated when her brother's best friend snubs her to marry a social climbing nobody from Islamabad. Roya discovers her fiancé has been cheating on her and ends up on a blind date on her wedding day. Beautiful young widow Begum Saira Qadir has mourned her husband, but is she finally ready to start following her own desires? Like almost every girl who has the book, I fell in love with Mr. Darcy, from the widely acclaimed Pride and Prejudice novels at the age of fifteen. Even when it was well past midnight, my friends and I would watch and re-watch the movie, the TV show and the web series. In short, we were – I am – obsessed with anything Jane Austen, predictably Pride and Prejudice. When I got the email from my favourite Bloomsbury Publicist saying that an advance copy of this BEAUTIFUL book was coming my way, I jumped with joy. 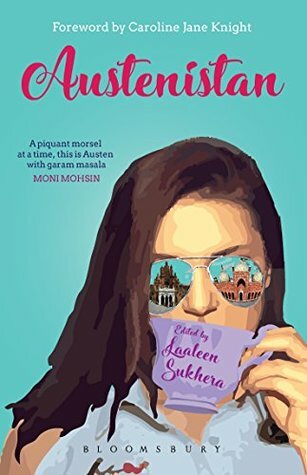 If you haven’t heard of Austenistan just yet, it’s a collection of short stories inspired by Jane Austen’s stories from 200 years ago set in modern day Pakistan and it is all kinds of Desi and BRILLIANT. This gorgeous book is a Pride and Prejudice retelling and I am SO GLAD that it came first. Though it is initially told from Jane’s (Jahan’s) mother’s point of view, it quickly changes to Jane’s and it is EVERYTHING. This story only encompasses the scene when Mr. Darcy and Jane’s Pakistani alter egos meet but I STILL LOVED IT. A BEST FRIEND ROMANCE! YAY! I absolutely loved this book, with Emaan and Haroon being such different, fun characters and the whole story in general. It really brought out career satisfactions and have I mentioned that BEST FRIEND ROMANCE IS MY ACHILLES HEEL OF ALL TROPES? Gaah I loved it. THIS WAS MY FAVOURITE STORY IN THE ENTIRE COLLECTION, HANDS DOWN. It was all about a scorned woman who had spent her whole life knowing that there was one man she wanted and then he ran away and married someone else while her brother married that girl’s sister. It was a powerful story about career, love and your expectations of people and I loved every minute of reading it. This particular story is already one I know I’ll re-read. I don’t really know how I felt about this story, being nineteen and not in the middle of a marriage where my husband doesn’t seem to care anymore, but I loved the intense writing anyway. This story fell somewhere in the middle for me as well. It was a good enough tale and yet, I failed to connect with any of the characters. I did love the fact that there was gay representation, or rather, how gay people are forced to live in Pakistan because not many books talk about it out here. The premise of this story definitely excited me, but I was left a little put off by the main character at the end of it. How DO you fall in love with someone you’ve never met or looked at, and then claim you’ve given up on love after he (OBVIOUSLY) didn’t meet your expectations? It showed promise but at the end of the day, it fell flat. Honestly, I REALLY loved reading this entire collection of Jane Austen stories. I could tell the love each writer had for the original Jane Austen Characters as well as the Pakistani versions that they created. 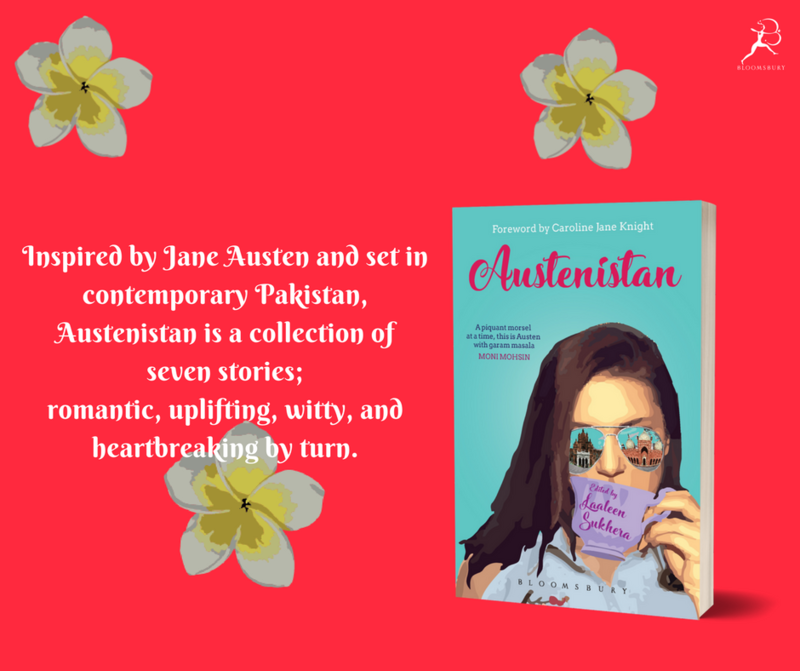 Austenistan a lovely collection of stories that lived up to its promises and brought to life Jane Austen’s works in contemporary Pakistan. 4.5 Stars! Laaleen Sukhera is a British Pakistani writer and media professional and the founder of the Jane Austen Society of Pakistan. 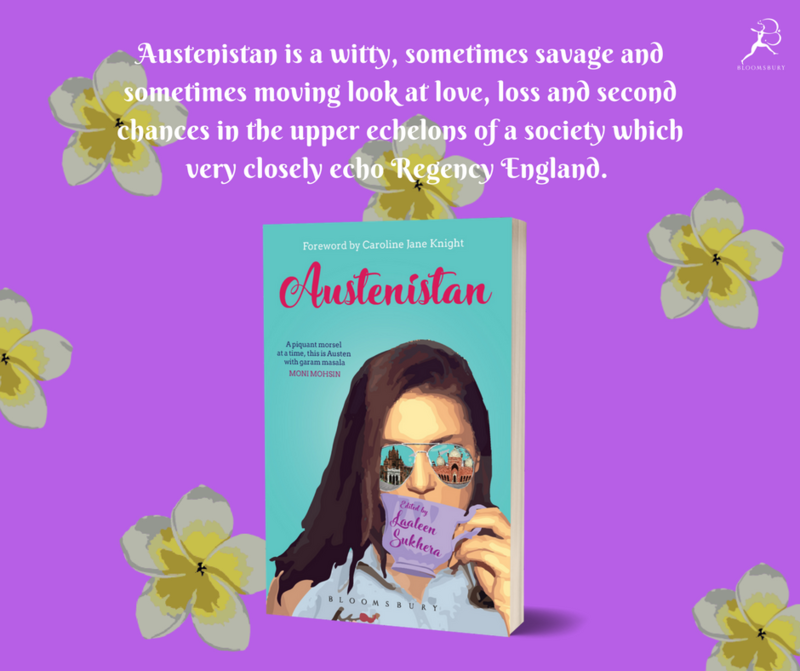 She is the Editor and one of seven contributors of Austenistan, an anthology inspired by Jane Austen and set in contemporary Pakistan, published by Bloomsbury India in December 2017 and forthcoming from Bloomsbury UK and Bloomsbury USA in 2018. Based in Pakistan, Laaleen works as a magazine editor and a communications consultant for international development, heritage, and branding. She was recently profiled in The Times (UK), Vanity Fair Italia, and 1843 magazine, and is currently being interviewed by the British Council, the BBC, and NPR. On the occasion of Ms Austen’s bicentennial death anniversary, Laaleen was quoted in The Atlantic and The Economist as an authority on the subject. 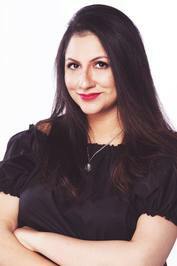 She has appeared as a literary panelist and speaker on women’s issues at events in South Asia and the United States. Her upcoming literary appearances for Austenistan include the Fairway Galle Literary Festival 2018 and the Times Lit Fest Bangalore, 2018. Are you a Jane Austen fan? Are you JUST AS Obsessed with Pride and Prejudice as I am? Who is your favourite character from her books! If it's Mr. Darcy please do let me know and I'd LOVE to fangirl with you in the comments!